3D LED HDTVs are the televisions of 2010. If you have been lusting after one here is a deal that’s going to tempt you a lot. So don’t blame me if you end up making your wallet lighter. 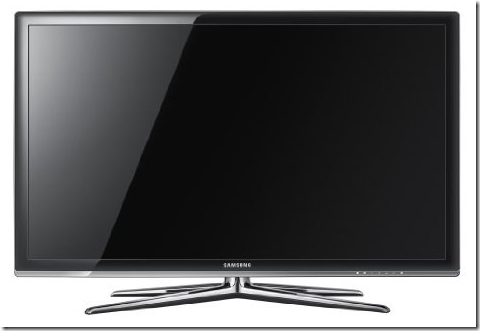 Samsung 55-Inch 1080p 240 Hz 3D LED HDTV (Black) is available for $2299.99 with free shipping from Amazon.com. A quick Google Products search showed me that this Samsung 3D LED TV is selling for around $3000!!! Full 1080p HD: Enjoy the powerful picture quality, vivid colors and stunning clarity of Full HD 1080p resolution. 240 Hz Clear Motion Rate: Samsung 240 Hz technology delivers even the fastest onscreen motion with utterly life like clarity. 3D-ready: Samsung 3D technology makes images leap off the screen– so you feel like you’re a part of the action. Sync up with our Samsung Blu-ray player to experience movies in 3D on your TV – and enjoy more TV broadcasts in stunning 3D, coming soon. Internet@TV: Connect to an ever-expanding portal of your favorite digital content. Customizable widgets give you access to BLOCKBUSTER, Facebook, YouTube, Flickr, Amazon Video On Demand and more – all on your HDTV. Ultra Slim Design: Stunning ultra slim depth – includes tuner (no external transceiver box). Ultra Clear Panel: Advanced technology lets you enjoy crisp image details, natural skin tones, excellent shadow detail, and vibrant colors. Touch of Color design: Exclusive Mystic Earth Touch of Color design combines texture and color that can complement any room. Plus, there is a cool offer with this TV where you get a 3D Starter kit worth $350 with the purchase of a Blu-ray disc player along with the TV. Check out the Samsung 55-Inch 1080p 240 Hz 3D LED HDTV and read completely about its amazing array of features and users rave reviews on it.